Written by William O'Leary on March 7th, 2019 March 11th, 2019 . We offer this to incoming 1st graders, 3rd – 6th Grade. 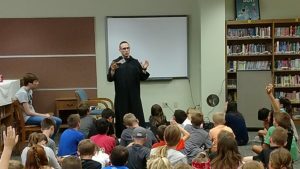 It’s a great program filled with activities, learning, faith experience and field trips. When signing up for this two week intensive program we ask that 1) participants attend each day and if they cannot then to register during the year and 2) that parents and kids attend 2 “in-person” enrichment sessions* and 2 other enrichment activities during the year. *Until we get enough volunteer catechist and aides for each class if you didn’t attend the enrichment sessions then you’ll be put on a waiting list. Written by William O'Leary on March 7th, 2019 April 17th, 2019 . 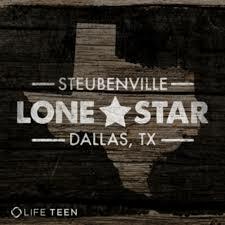 *We apologize for any inconvenience, but the Teen Volunteer Sign-up is currently full. If you would like to be added to our waiting list, please sign-up below. Thank you for your interest! Written by Ascension Youth on February 5th, 2019 February 11th, 2019 . We have some amazing trips and opportunities coming up for Summer 2019! This is your invitation to serve, learn, grow and give. We are so excited to announce that this summer (2019), we are partnering with St. Michael the Archangel (Leawood) to take a group of incoming 7th and 8th graders to Camp Hidden Lakein Dahlonega, GA! 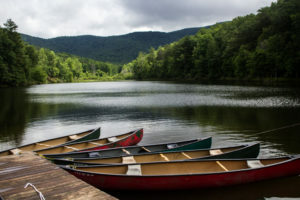 About: Camp Hidden Lake is owned and run by Life Teen, a national Catholic Youth Ministry organization that has been leading teens closer to Christ since 1985. With high ropes courses, a swimming and canoeing lake, rock wall, a full-size basketball gym equipped with A/C, volleyball courts, Ga-Ga pits, fields for soccer and frisbee, an art barn with pool and ping-pong tables, and so much more, Hidden Lake has everything to make sure our week of Camp is packed with fun! Mass, Reconciliation, group and individual prayer will foster and grow the joy and wonder of being Catholic. 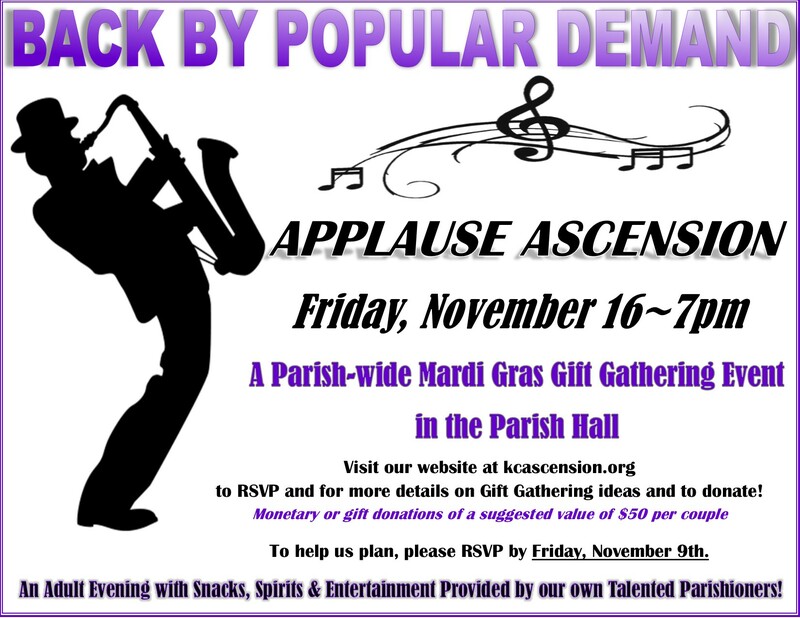 How to Sign Up: Register here on St. Michael the Archangel’s website. Ascension registration for Prayer and Action opens on Feb 11th on a first-come, first-serve basis. There are 15 spots (male/female split) for students (and 3-4 chaperones) per week. There will be a waiting list for others. To register for one of our Prayer and Action mission trip weeks this summer, please fill out the following form. An email will follow a few days later with payment information and more detailed information. Cost is $260/person. Chaperones attend at no charge. Kairos Retreats have been around for decades and have been a strong part of the spirituality growth of young people in this diocese. Although Kairos was originally intended for a different audience over 50 years ago, not much has been done to being it to students with their challenges today. 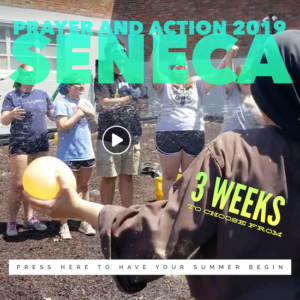 Ascension Youth Ministry has developed a modified version that has borrowed some of the wisdom of Luke 18 retreats, as well as Life Teen and current trends to make this retreat affordable and designed to have lasting impact. Kairos has 4 different segments: doubt, cry, trust, and live. The first is identifying what we have doubt in, and what questions most bother us with God and His plan for us and this world. Secondly, we find ways to express those doubts and learn from each other as we do. Next, we walk through what it means to trust in God and the Holy Spirit as it is our guide in this world. Finally, we discern how all of this that has been learned should be lived out and find ways to keep each other accountable to that. Kairos always builds a strong bond with each other but our prayer and hope is that it also connects them to their parish family as well. Written by Dawnlee on October 3rd, 2018 November 20th, 2018 . Written by Ray Martin on January 10th, 2018 July 18th, 2018 . Not long ago while visiting with a Catholic, I was taken back by the question, “Why should I go to Mass?” My assumption is that Catholics know why they should go to Mass, but maybe I assume too much. Hence this little piece Why go to Mass? Every individual sharing in the Mass has his/her own reasons for doing so. Here are some that deserve some consideration. God gives us 24 hours a day, 7 days a week, and 365 days a year. Is it too much to give Him an hour of our time? God gives us life itself and all our talents and abilities. Isn’t it only right to say THANK YOU by sharing our time and ourselves with God? We lead hectic lives, running in a thousand directions. What’s the integrating thread that keeps it all together? What reminds us what is really important in life and what may be interesting, but superficial? Taking time to draw back and being with God in prayer helps maintain balance and perspective and helps us keep on track. Some people say that they can pray better by themselves alone in the woods. Sometimes I can too. But that doesn’t take away the need to join with the community in prayer and worship. In the midst of a world that focuses upon the individual as the center of it all, we need to remember that we are creatures and children of an all-loving God. We are part of a community of faith that communicates Christ to us and needs us to be active members of Christ’s body. The Mass is the most perfect form of worship because it is my prayer in union with the prayer of others that is joined withbest prayer ever offered – the sacrifice of Christ on the cross. No other form of prayer can take the place of Christ’s perfect gift of Himself and His sacrifice represented in the Eucharist. Each of us carries with us some woundedness, hurts from others or our own sinfulness. We need forgiveness and the strength to forgive others. We need God’s power to flow into our lives healing and renewing us in the spirit of Christ. The Mass makes real the healing and strengthening presence of Christ whom we experience in Holy Communion as our Brother, our Savior and our God. We lead by the example we give more than by the words that we say. We can tell our children that we believe in God and are followers of Jesus, but if we don’t take time for God and show our fidelity to Him in prayer and example, our words will be hollow and our example weak. Our young people learn to value what their parents value. What are we sharing with our children? We have a serious moral obligation to worship God through active participation in the Eucharist. To neglect this wonderful prayer and to deny ourselves the grace of the Mass is seriously sinful and is in a way like spiritual suicide. We have the serious obligation to make use of the means that God has given us to grow in holiness through union with Christ in the Mass and the Sacraments. We need Christ. We need a Savior. We need to know that our life is of value and worth both here on earth and eternally. We need Christ to keep us going in the right direction with what’s really important in life. We need a personal relationship with Christ so that His word speaks to us and His presence is felt in our heart. Christ is truly present in the Eucharist. He gives his very self to us in Holy Communion. To be embraced by His loving presence is such a wonderful and awesome gift. Why deny oneself Someone so great and so loving? “Keep holy the Lord’s Day” is the third commandment. What better way to do so than to join in the perfect sacrifice, the perfect prayer of Jesus? Jesus enjoins us “Do this in memory of Me!” Ultimately we go to Mass as an expression of our desire to really love God with all our heart, soul and mind and that in turn helps us to love our neighbor as ourselves. On the other hand, I often hear why people don’t go to Mass. I imagine the reasons are as individual as the person, but here are some common ones. Who ever said you were supposed to? Do we only do something because we personally get something out of it? We receive from God every moment of every day; is it too much to do something for God without expecting an immediate return? We go to Mass to worship God, to thank Him, to draw closer to Him, not to get something more from God who already gives us everything. Church is not a health spa for saints, but a hospital for sinners. Yes, we have hypocrites at Church. Can I say that I have never acted hypocritically? I wish! We go to Mass because we are sinners and need God’s grace and strength to live better lives. If no sinners went to Mass, the church would be empty. Some people stay away from Mass because they have a hard time with accepting or living some of the teachings of Jesus and the Church. We need to remind ourselves we are all on a journey. None of us has it all together yet, but we need to be present and open to Christ who will show us the way and give us the strength. For people used to fast action and constant entertainment, the Mass seems boring. As one young person put it “It’s the same old miracle every time.” Is it the ‘same old’ or is it the ‘miracle’ that we experience? The Mass is not entertainment. It is prayer and worship. We get out of something what we put into it. Consciously entering into the miracle of Christ’s love present in the Eucharist will engage our mind and heart, indeed our entire life. Most of us are over extended. We have too many commitments and responsibilities. Yet can we really be too busy for God? Is an hour a week too much to give? If we plan our Sunday around Mass rather than trying to fit Mass into a crowded weekend, we will never be too busy for the Lord. If we don’t go to Mass, how much time do we really devote to prayer on our own? Yes, most of us are subject to laziness. It’s part of original sin and we can let ourselves develop some pretty lazy habits. Laziness can lead to weakening and even loss of faith. Just as we need to exercise our bodies to keep them strong, we also need to practice faith in order to strengthen it. The best remedy to laziness is just simply DO IT! When we are not living the life that we know we should, we feel guilty. Guilt needs to be resolved rather than denied. We have to face our guilt and seek forgiveness and search for a better way of living. The Mass will challenge us and remind us of our guilt, but it can also bring us healing forgiveness and new life. Unfortunately some have been disappointed and even hurt by the Church or its representatives. Just as Jesus teaches us to seek forgiveness, He calls us to be forgiving. Past hurts because of the human side of the Church shouldn’t keep us from experiencing its divine side wherein God shares his very self with us. St. Paul enjoins us “forgive as the Lord has forgiven you”. “I don’t need the Mass to be a good person. I can be kind to others without going to church.” That may be true, but being a nice and kind person is not the essence of being a Christian. Loving God above all things is. How am I really showing my love of God above all if I don’t take any time for Him? And by loving Him we will have greater strength to follow the second commandment, to love our neighbor. Jesus invites you to join Him each Sunday in prayer. Come and experience the awe of God’s love and presence in the Eucharist. Why go to Mass? Ultimately each of us answers that question by the choices and decisions we make. The answer lies in how seriously and personally we take the invitation of Jesus “Do this in memory of Me” and God’s commandment to love Him above all else. God wants to be central to our lives. Our choice is to make Him number one! Read the article Why Go To Mass? Written by Jean Hinman on May 22nd, 2017 May 11th, 2018 . Dates for 2018: Drop off “treasures: June 10-12th. Sale is 13th- 16th. Garage Sale is Social Concerns #1 (and only!) fund raiser of the year. This helps fund the many ministries we participate in to fulfill the corporal and spiritual works of Mercy. We have it the 3rd week of June (week after VBS, week before Father’s Day). 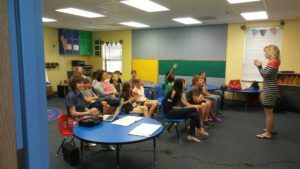 It is a very family friendly ministry and kids can make a serious dent in their service hour requirements! We ask that kids younger than high school be accompanied by parents to volunteer, but all are more than welcome to help! This is a GREAT ministry for busy people because it is a one week “one and done” for most of the positions, even lead positions. 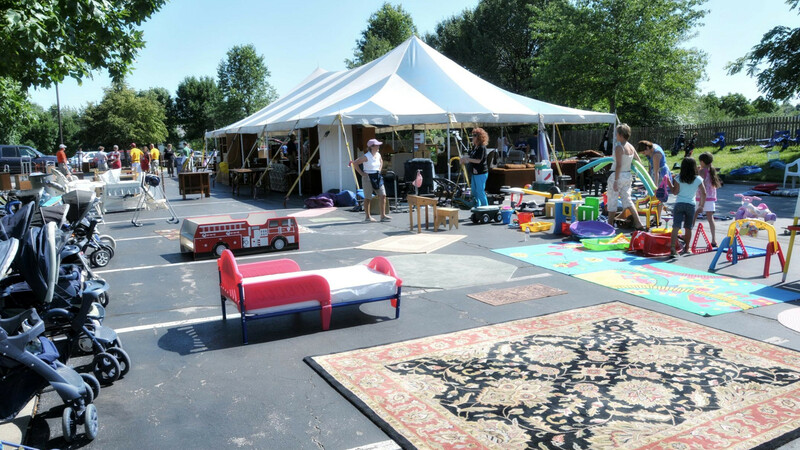 Please contact Jean in the office if you want to explore chairing an area of the garage sale. (jhinman@kcascension.org) You do not need to be present the whole week or all day. You may want to “share the fun” with a friend. We need people to set up the areas but have plenty of volunteers to help out! Written by Ray Martin on February 6th, 2017 April 23rd, 2019 . The Fathers of St. Joseph is a confraternity of men who follow the timeless wisdom and example of the man who was father to the Son and son of the Father. With St. Joseph as our leader, each father strives to become as he became – an icon of God the Father. As God the Father entrusted His Son to St. Joseph’s care, we also strive to entrust ourselves as children, who are fathers, to this father who will teach us to father, and lead us to the Father. This way of fatherhood is called Joseph’s Way – The Call to Fatherly Greatness. Join us on this journey to discover the power of authentic fatherhood. Msgr. Tank invites all men of the parish to experience this ministry. Among the most serious crises facing human civilization is the famine of fatherhood. Children, families, the Church and our world are hungering, if not starving, for true fathers to re-enter the human drama and assist God in the mission of saving the world from self-destruction. Indeed, society goes by way of the family, and the family goes by way of the father. Lying at the center of the famine of fatherhood is a deeper crisis: the father’s loss of his identity. The human father has lost touch with his true identity, with his true mission and the person that God has created him to be. The human father knows little of himself because he knows God the Father so little. The human father’s identity leads not only to his destiny, but also, his family’s destiny. The human father, by assuming his identity as an icon of God the Father—an initiator of self-giving love—enables his family to achieve and receive its authentic identity, and assuming this identity, the human family can alter—for the better—the world’s destiny. The Father’s of St. Joseph are committed to providing men the opportunity to gather around St. Joseph himself. To place his life and example at the center of our gatherings with the intention of discovering the timeless sanctity of the vocation of fatherhood, to learn the meaning of authentic fatherhood, to equip fathers to become the fathers God intends them to be by understanding and living the spirituality that enables St. Joseph to become a father on earth like the Father in heaven. The sole aim and purpose of The Fathers of St. Joseph is to labor for the restoration, revitalization and redemption of human fatherhood, in order that it may become what it has been created to be: an efficacious icon that directs the human family to its Father. To discover the timeless sanctity of the vocation of fatherhood. To be taught and to teach the meaning of authentic fatherhood. To supply for the spiritual, familial or financial needs of our fellow fathers. To learn how to become an authentic father by becoming children of the Father. To become leaders who serve by following the Servant and Master Who leads. To immerse ourselves in the timeless wisdom, fatherly example and person of St. Joseph, the son of the Father and father of the Son. To learn how to encourage and edify our families in their pursuit of personal sanctity. To learn how to honor and cherish the dignity of our wives and all women by overcoming lust by means of receiving the redemptive power of Christ. As Joseph refused to expose Mary to shame so too we will become successful fathers by becoming guardians of the dignity and value of woman. The Holy Family became the first domestic church, an icon of the inner love or family life of the Trinity. As fathers we will strive to erect the domestic sanctuary and assist our family in becoming an icon of the life of the Trinity. As fathers made in the image of the Father, we accept our position of ‘charitable authority’ over our household and like Joseph, the hidden Son of David – an underground king – we acknowledge our hidden kingship over our family. We are not mere biological fathers but rather choose to ‘spiritually adopt’ our children and commit ourselves to the fatherly experiences of ‘protecting, feeding and teaching’ and by means of these experiences grow in understanding of our dependence upon the generosity of God the Father. Working side by side with our children, we will teach them the art of self-giving love. Like Joseph and Jesus who crafted the cross of self-giving love within the workshop at Nazareth, by means of work, we will provide our children the necessary materials to build the temple of the Holy Spirit – which they are. Written by Ray Martin on August 13th, 2016 January 10th, 2018 . Fr. Tom leads an RCIA class and fellow parishioners through the history and traditions of the Mass. Watch as he shares his wisdom and love gained from 50+ years of bringing this celebration of the Eucharist to our community. Written by Ray Martin on April 11th, 2016 January 10th, 2018 .